A new study predicts that 99 per cent of the world’s seabirds will consume plastic by 2050. Seabirds easily mistake brightly coloured plastics for food or accidentally swallow pieces such as bottle caps, bags and fibres from synthetic clothing that have washed out to sea from waste deposits, sewers and rivers. Scientists from CSIRO (Commonwealth Scientific and Industrial Research Organisation) and Imperial College London investigated the extent to which seabirds are affected by plastic waste. The majority of seabird species, including albatross, shearwaters and penguins were found to have plastic in their guts. At present, 90 per cent of all seabirds are estimated to be affected. Plastic is so durable that it fails to degrade completely without exposure to UV light or bacterial activity. For years and even centuries, plastic accumulates in the ocean – a salty, plastic soup. The production of plastic is increasing exponentially; every 11 years since commercial production began in the 1950s, output doubles. With greater production, more plastic chokes up the ocean, increasing the likelihood that seabirds will ingest fragments. The paper, published in the journal PNAS, concludes that there is an increasing trend in this pervasive problem as the findings were compared to historical studies. In 1960, fewer than 5 per cent of seabirds were found to have ingested plastic. This increased steadily to 80 per cent by 2010. Based on this disturbing data, researchers can be almost certain that any seabird to wash up dead in 2050 will have plastic in its stomach. Dr Chris Wilcox, a senior research scientist at CSIRO Oceans and Atmosphere who led the research, comments on the startling results and says that it “really points to the ubiquity of plastic pollution.” The study is the first to assess and predict the impact of plastic on seabirds globally. Plastic can be extremely damaging to seabirds. Being unable to pass or regurgitate the indigestible fragments, seabirds suffer impacted guts and consequent weight loss. Leaching toxins from plastic are known to cause organ damage, which could lead to increased mortality or changes in reproduction. Dr Denise Hardesty from CSIRO Oceans and Atmosphere, reports counting nearly 200 pieces of plastic in a single bird during her fieldwork. Wildlife located at the Southern Ocean boundary in the Tasman Sea, between Australia and New Zealand are expected to be most at risk. 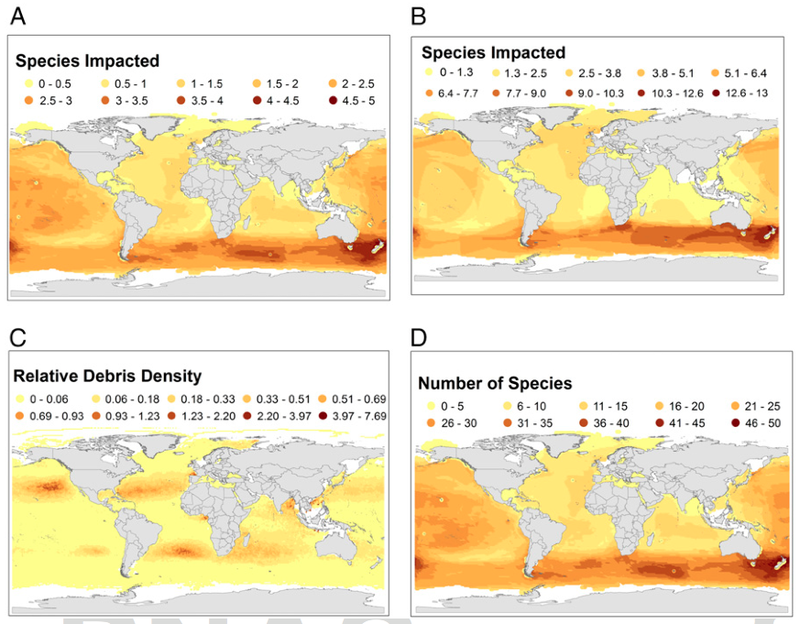 A wider area of concern spans the southern region from Australia to South Africa and South America, despite being regarded as “relatively pristine.” This is not where the most rubbish collects, but where there is the greatest diversity of seabird species. “We are very concerned about species such as penguins and giant albatrosses, which live in these areas. While the infamous garbage patches in the middle of the oceans have strikingly high densities of plastic, very few animals live here,” says Dr Erik van Sebille, from the Grantham Institute at Imperial College London. Although this news is alarming, it is not entirely unexpected. Volunteers around the world who partake in coastal cleanup events are well aware of the mounting problem with plastic rubbish. Both Dr Hardesty and Dr George H. Leonard, Chief Scientist at the US-based Ocean Conservancy, maintain that with a concerted effort, this issue can be overcome. 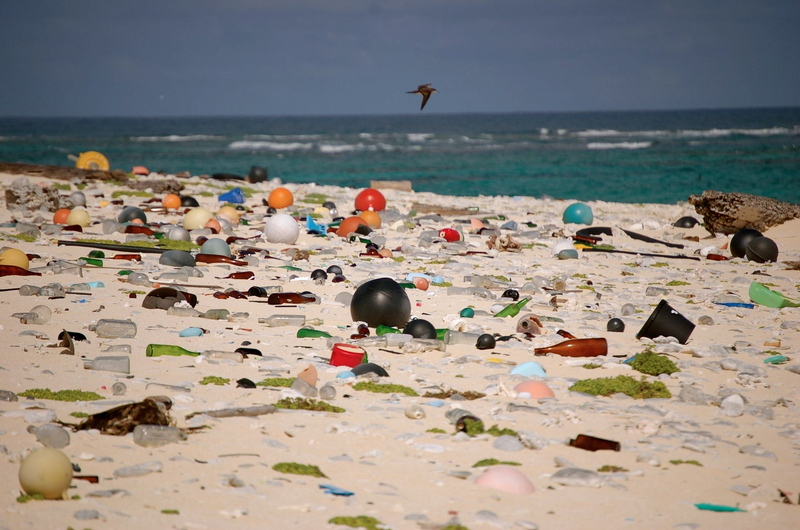 “Improving waste management can reduce the threat plastic is posing to marine wildlife. Even simple measures can make a difference. Efforts to reduce plastics losses into the environment in Europe resulted in measurable changes in plastic in seabird stomachs within less than a decade, which suggests that improvements in basic waste management can reduce plastic in the environment in a really short time,” says Dr Hardesty. “Scientists, the private sector and global citizens working together against the growing onslaught of plastic pollution can reduce plastic inputs to help protect marine biodiversity,” says Dr Leonard. Visit www.scimex.org for more research-related news from New Zealand and around the world.